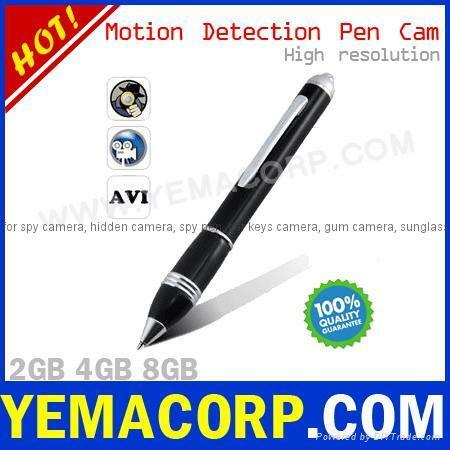 A Camera Pen with Motion Detect Function and a Real Ball-Point Pen. One of the coolest mini DVR pen gadgets in this generation! Record or take pictures when you are writing in class or simply clip it to your shirt and GO investigation! Are you an active news Bolger, student or citizen journalist? Want to keep an audio/video record of those important private meetings for later review? This mini camera Pen Camcorder lets you record in AVI format files that you can later transfer to your computer for viewing and archiving purposes. The HD Motion Detect DVR Pen is advanced with 1280 x 960 resolution @30 frames per second and audio is stereo.